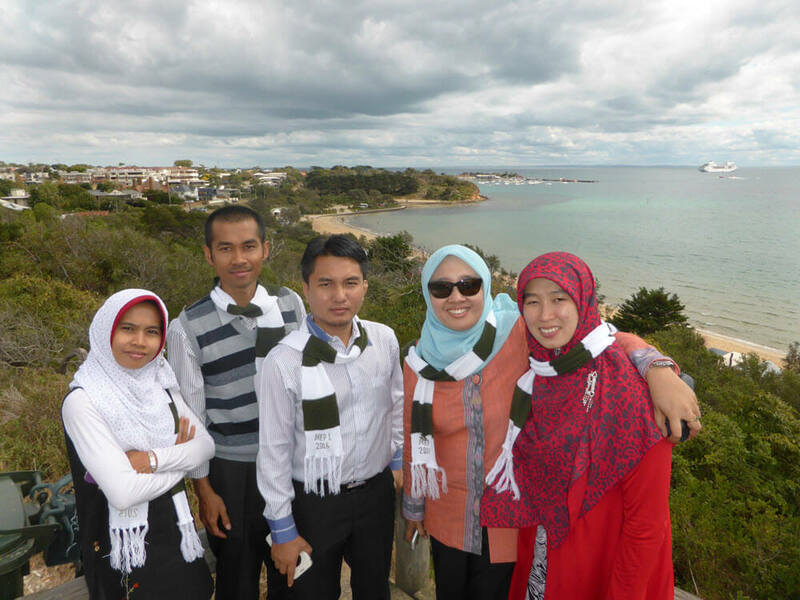 Caption: Indonesian exchange group at Bondi Beach. 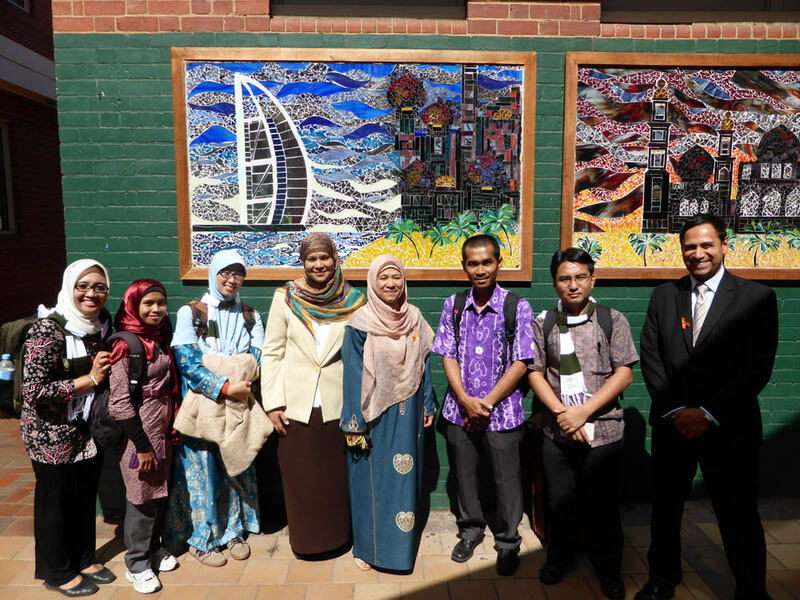 The Australia-Indonesia Muslim Exchange Program (MEP) is now entering its 13th year. The program aims to build bridges between Muslim communities in these two neighbouring countries and to break down stereotypes about life as a Muslim in each country. March saw the arrival to Melbourne, Sydney and Canberra of 5 Indonesian Muslim leaders from major Islamic organisations including Nahdlatul Ulama (NU)and Muhammadiyah. Both are mainstream Muslim organisations with over 60 million followers between them. The five Indonesian delegates included Hindun Anisah, a lawyer, NU activitst and the leader of an Islamic boarding school (pesantren) in Central Java; Ahmad Saifullah, alumni coordinator at Darussalam Gontor, one of Indonesia’s largest pesantren networks; Yanuardi Syukur, a prolific writer and head of the Islamic writers’ group Forum Lingkar Pena in North Maluku; Lenni Lestari, a lecturer in Qur’anic studies and tafsir at Langsa, Aceh Province; and Siti Rohmanatin Fitriani, a member of Muhammadiyah and a trainer in the Department of Social Services in Jayapura, Papua, a remote region where Muslims are a minority. Indonesian exchange group at an arts gallery. The delegation visited Muslim and non-Muslim schools, including the Australian International Academy, Balcombe Grammar School, and Al-Zahra College, and met with major Islamic organisations including the Islamic Council of Victoria and the Lebanese Muslim Association. Delegates met with Australians from many different faith communities and walks of life. A second group of five Indonesian Muslim leaders will arrive in Australia in May, and a counterpart delegation of five Australian Muslim leaders will travel to Indonesia at the same time, with participants from Sydney, Melbourne and Darwin. 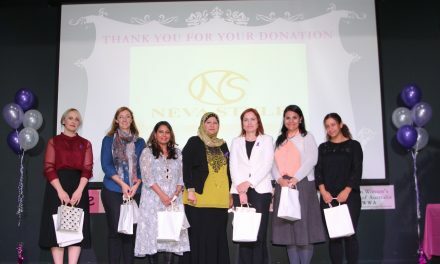 The Australian delegation includes Mobinah Ahmad, a multimedia journalist at the Australasian Muslim Times; Tasneem Chopra, a cross-cultural consultant, curator and activist; Sarah Chaabo, a board member of Mission of Hope; Sahema Saberi, a youth worker in the Afghan community; and Kyawnaing Yusuf, a young imam and khatib from Darwin. 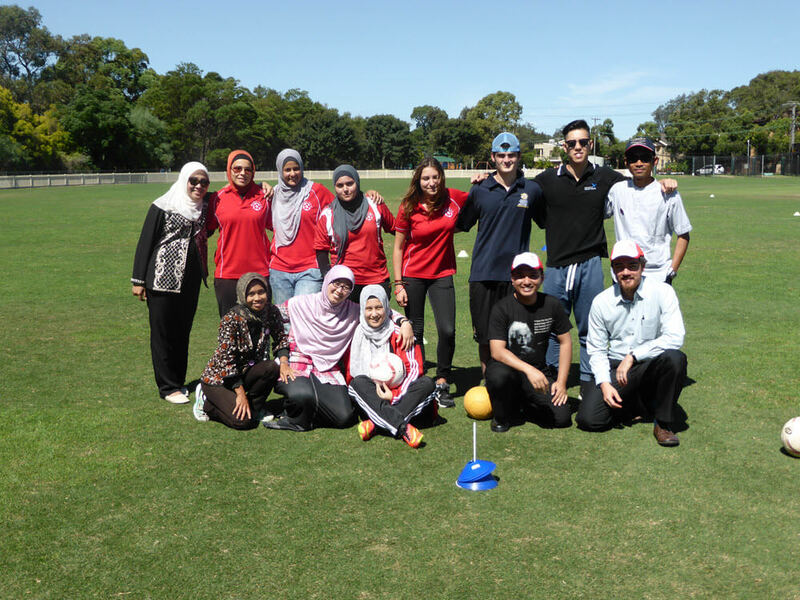 Indonesian exchange group at sports ground in Sydney. The MEP is an initiative of the Department of Foreign Affairs and Trade, through the Australia-Indonesia Institute, an independent body dedicated to improving people-to-people relations between Australia and Indonesia. 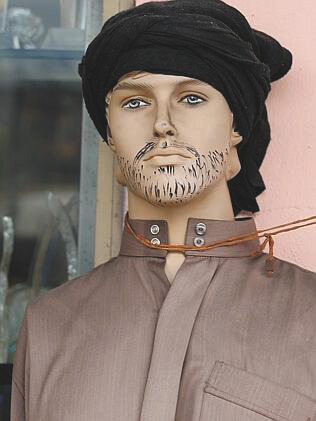 What a man, What a man, What a Mannequin Man?